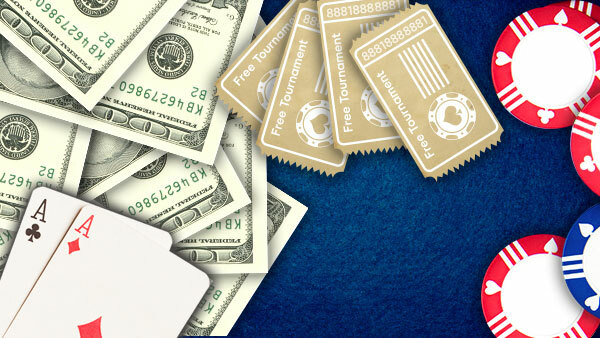 As part of our commitment to provide a truly superior service, 888.com makes every effort to ensure that your withdrawal request is processed as quickly and efficiently as possible. 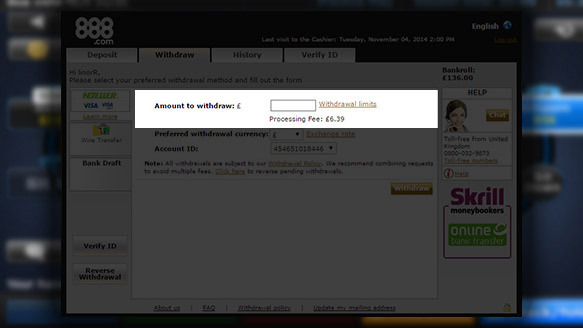 Provided, enter the amount that you wish to withdraw from your account. 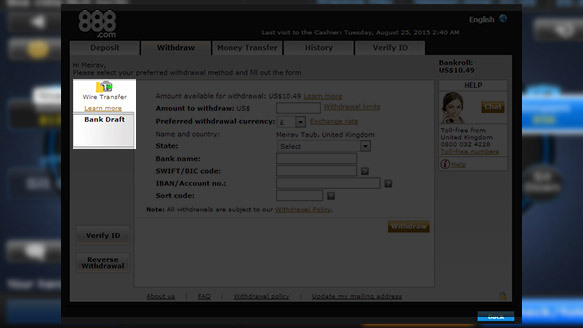 If you choose Wire Transfer, please enter/review/update your bank details in the pop-up window and then click Submit. 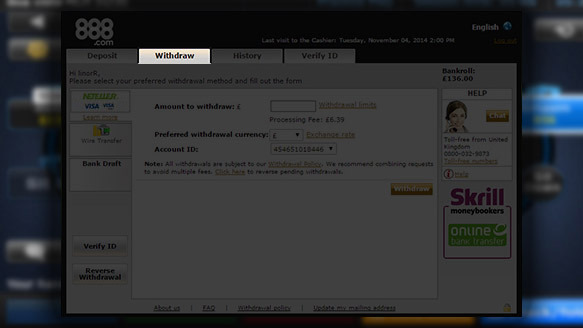 To learn how to reverse your withdrawal, after having requested it, please see Reversing Your Withdrawal of this site. 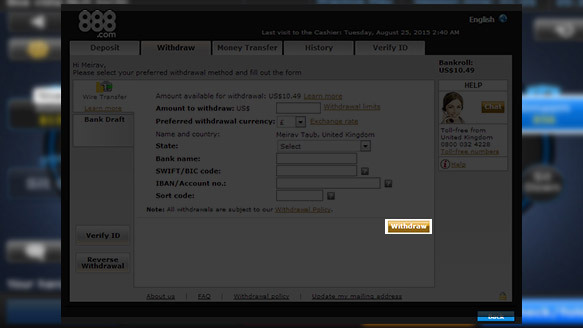 To review your Withdrawal History, click on the Withdrawal History button in the Cashier. 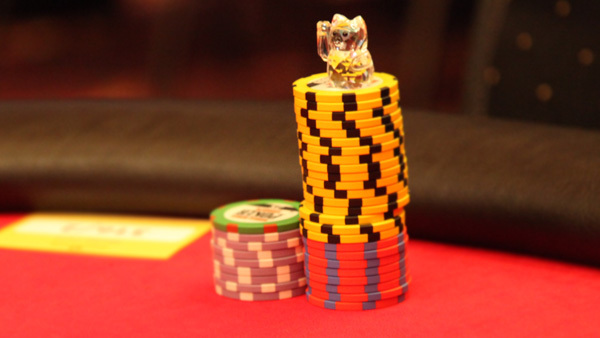 You may also review your deposit and withdrawal history using the game history feature. 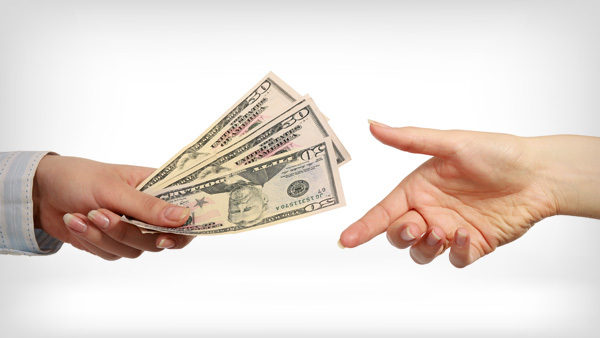 Withdrawals requested within the same 24 hour period, via the same payment method, may be combined as one payment. Occasionally, your authorization or some documentation, may be required to process your withdrawal requests, and we may ask that you sign a list of your previous deposits with us. Cassava Enterprises (Gibraltar) Ltd (the operator of 888.com) reserves the right to delay and/or stop the processing of withdrawal requests until final approval has been received for any outstanding deposit transactions. 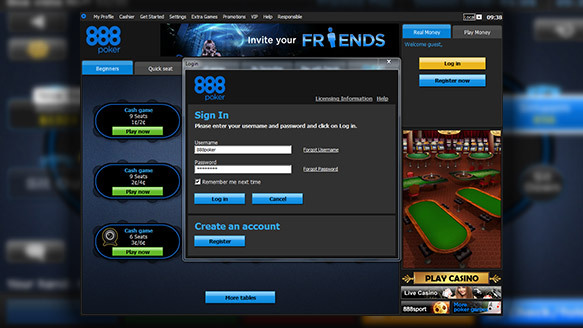 Please see 888.com Withdrawal Policy. 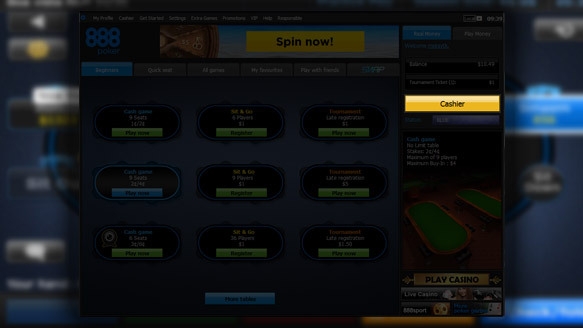 For assistance with this or any of your other online gaming needs, please click here to Contact us.